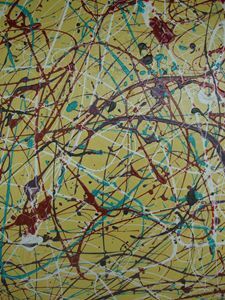 signed and certified that the painting you bought is an original. 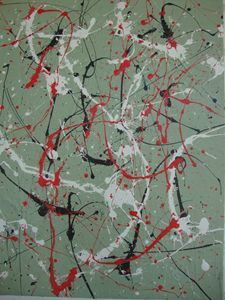 This painting is already stretch and sides of the canvas are painted. 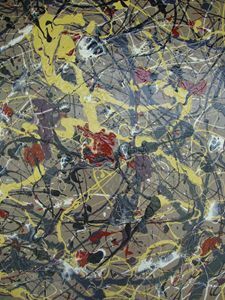 dust, UV rays and yellowing. 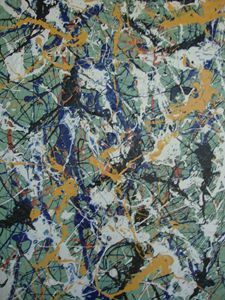 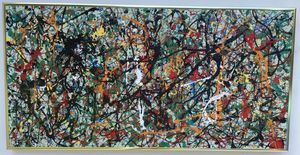 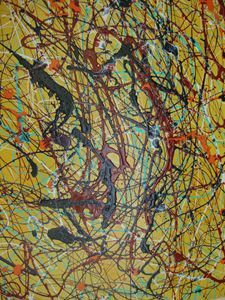 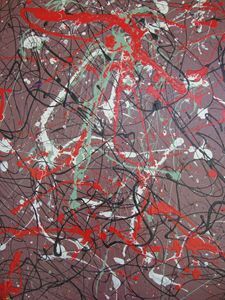 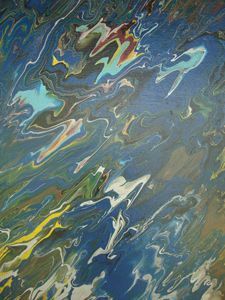 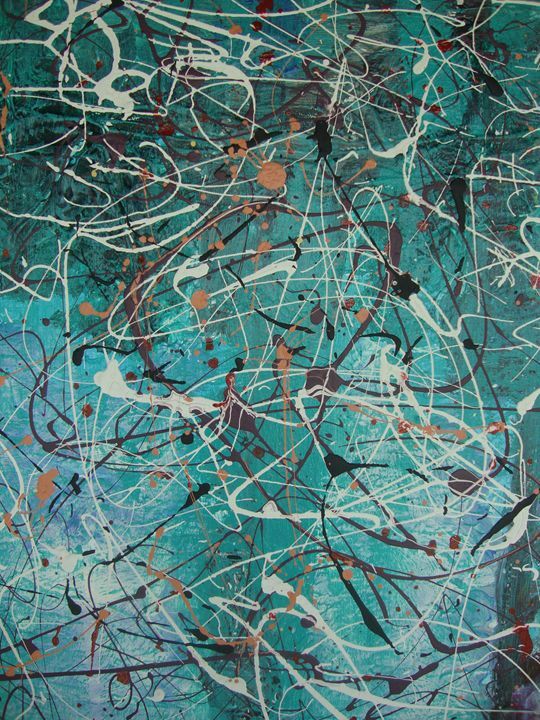 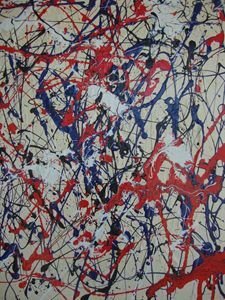 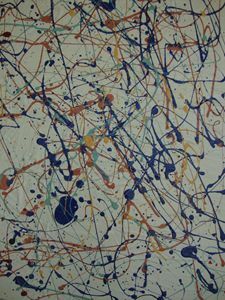 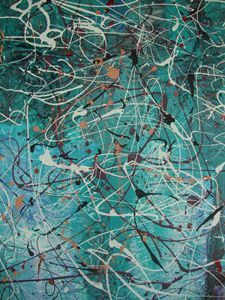 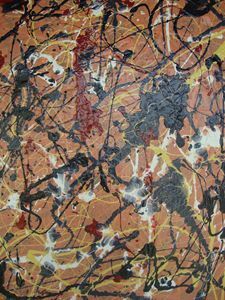 My Artwork is influenced by the contemporary abstract expressionism drip style of Jackson Pollock. 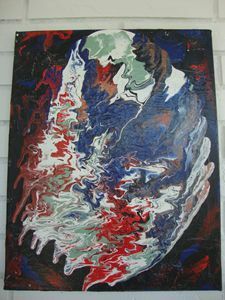 Learning and seeing how several colors mixed with one another while it drips on to the canvas. 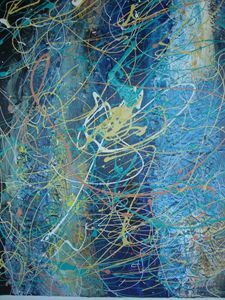 ​Born in P.R 1958 ​.In 1963 my parents moved to United States at the upper W.Side Manhattan and was raised there, presently living at Florida State.